From start to finish, Natural Swimming Pools by Matthew Stewart will provide a bespoke, personal service. From the first time we meet to the after care of your Natural Pond, you can be assured of a comprehensive service and exquisite results. Each project has its own unique criteria and as such our service will be tailored to your needs. 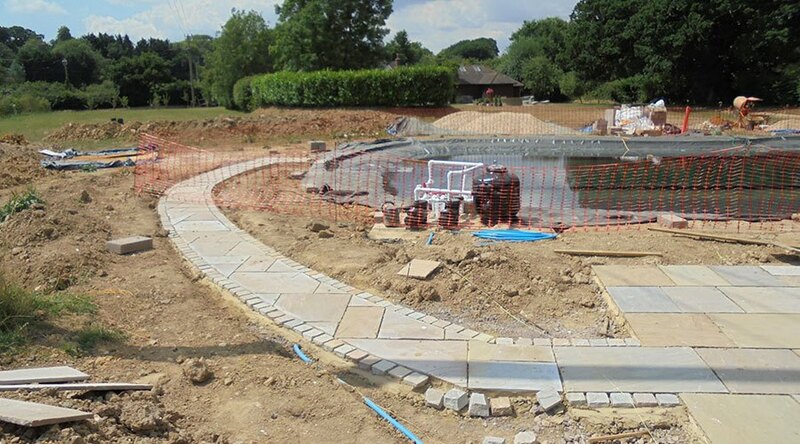 With over 30 years’ experience within the landscape design and aquatic construction industry our approach is methodical, attentive and most importantly achieves spectacular results. We’ll arrange an initial on site meeting to ascertain what type of swimming experience you would like. 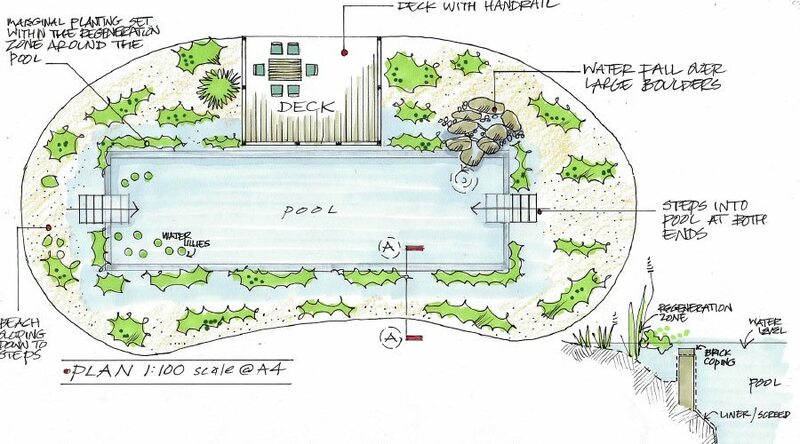 This enables us to design the pool to suit your requirements. Once the site survey and discussions have taken place, we can accurately price up your proposed Natural Swimming Pond. We’ll provide you with a detailed quote and design specification before works commence. Once you are happy with your proposal, works can begin. Construction starts with excavation and continues to create a wonderful space in which you can enjoy your Natural Swimming Pool. Throughout the build, we will schedule regular client meetings. We aim for a stress free construction process by involving the client through each step of the build and informing them of the following week’s projects. We supply a complete pump and filtration service within the costs to ensure the quality of the water. A planting schedule provides the required quantity and suitability of natural plant filtration, whilst enhancing the location of the pool.